The Barton Creek Golf Academy offers private instruction for golfers of all skill levels, beginner to professional. We strongly believe that everyone is unique in the way they learn and process information. Our philosophy is there in no one way to swing a club but there are certain imperatives that all good players have. Whether you are coming to us for a quick fix or a long term development program our staff has the expertise to help you improve. We look forward to helping you with your golf. 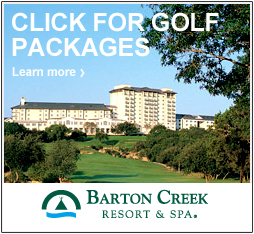 Why Choose Barton Creek Golf Academy? Play Better Golf and Have More Fun! We conduct a thorough assessment of your fundamentals, technique and skill in all aspects of the game. We identify your strengths and pinpoint your weaknesses – key areas where you are losing strokes. To facilitate enhanced performance, we support you with focused coaching and training so that you can build skill and confidence that transfers onto the golf course. Our approach to coaching is unique – we understand the principles of motor learning and skill development. We provide golfers with the coaching and support services necessary to take an improved game onto the course by walking students up the 4 Steps of Mastery. New Student Assessment – 30% off an initial One Hour Game Assessment with the selected instructor! You and your Coach will get to know each other. We want to learn about your unique needs and goals. When we know where you want to go, we can better help you get there! Your Coach will get the opportunity to watch you hit shots in all aspects of the game – driving, iron play, putting, chipping and bunker play. Certain technologies may be utilized for feedback purposes. After your assessment, your Coach will outline possible programs that align with your goals, available time and resources. There is no pressure or obligation to “buy” or commit, but if you decide that Barton Creek Golf Academy is for you, enroll in one of the following Adult Coaching Programs and get started on your journey to better golf! For more information or to book the New Student Assessment, please call (512) 306-5805 or email golfacademy@bartoncreek.com.